Authors in the opposition weeklies wonder how the dishevelled Hungarian opposition parties can become a serious challenge to Viktor Orbán. They do not call for the dissolution of the existing parties but agree that something entirely new must be devised. In Magyar Hang, Szabolcs Szerető welcomes an essay by LMP MP Péter Ungár who advocated moderation on the opposition side in confronting what he considers the radical politics of the government. 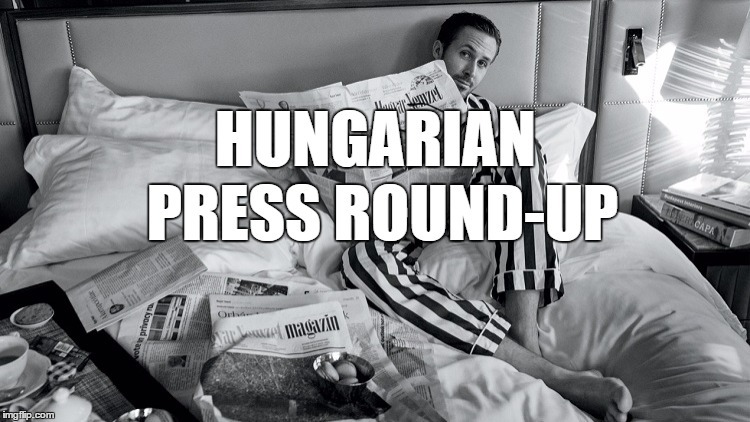 Writing on Azonnali (Immediate), a blog of which he is the main owner, Mr Ungár argued that it was self-defeating for the opposition to reject Fidesz anti-immigration policies out of hand. Szerető espouses Ungár’s view that the opposition cannot hope for political change if its initiatives are confined to loudly criticising any moves the government may take. That attitude regarding the government’s stance against uncontrolled immigration costs them a lot, in terms of popular support. Szerető also agrees with Ungár’s description of opposition politics as ‘dictated’ by a group of intellectuals linked to the defunct liberal SZDSZ party. As a result, he explains, public life in Hungary is dominated by two fanatical camps who regard each other as sworn enemies. He believes it is in the interest of the ruling circles to maintain this state of affairs and therefore the opposition should find a way out of this trap. Szerető admits that for the moment the voices of hatemongers are louder than anything else and political life is dominated by paranoid logic, but he is convinced that the majority of Hungarians desire something entirely different. 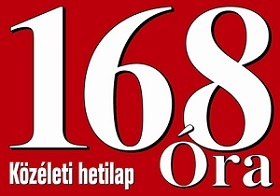 In 168 Óra Tibor Nagy-Husszein, who during the years of the regime change in 1989/1990 briefly entered politics in the ranks of a left-wing agrarian party and resurfaced recently as a parliamentary candidate of the Democratic Coalition, urges all opposition parties to confront Fidesz as one. He explains that given Hungary’s predominantly majoritarian electoral system, the incumbent government can only be voted out of office by a united opposition. He doesn’t mention any of the opposition parties by name, but since he describes the combined opposition as having gained more votes last April than the ruling party, his call to unite implicitly extends to Jobbik as well, although the Democratic Coalition officially opposes any such alliance. Another point he disagrees on with his own party is its intention to run for next spring’s European Parliamentary elections alone. True, he explains, the European electoral system is proportional and therefore promises mandates to all parties that pass the 5% threshold. Nevertheless, he believes opposition parties should run on a united list for the EP elections. If not, they might use their individuals results as bargaining chips before the municipal elections in the autumn. That in his view would seriously imperil the success of the opposition in the mayoral and council elections, which he believes will be decisive for the outcome of the Parliamentary elections scheduled for 2022. If the opposition cannot conquer the majority of local councils, Nagy-Husszein suggests, then its chances at the Parliamentary elections three years later will also be doomed. It is therefore imperative for the opposition to run as a single party or an alliance of parties for the European elections next year, he concludes.